Creative power-couple bassist-composer William Parker and dancer-choreographer Patricia Nicholson Parker, do not mince words when it comes to artistic vision. In a 2008 interview in All About Jazz, Nicholson says “We need to take our visions seriously.” Early in their careers, Nicholson and Parker created a huge repertoire of composed music for multiple ensembles, directing and organizing “A Thousand Cranes Peace Opera,” for the opening of the UN Special Sessions on Disarmament and working with bassist Peter Kowald to help organize the artist-run Sound Unity Festivals between 1984 and 1988. Nicholson successfully initiated the Improvisers Collective, which morphed into the Vision Festival, and together they have worked meticulously to bring the Vision Festival to New York for the last 15 years. Parker emphasizes performance and Nicholson works tirelessly behind the scenes. Progressive jazz lovers in New York know the annual Vision Festival as a marker of endurance, emphasizing a sense of community as it continues to profile free jazz and avant-garde music in the face of more commercial musical enterprises. Art for Art, an organization Nicholson founded in 1995, also coordinates a weekly Vision Club series, and each year the Vision Festival honors the lifetime achievement of a particular artist. Listen to - or read - New York Times contributor Nate Chinen's broad-ranging conversation with Parker and Nicholson, and read Chinen's reflections on their discussion, in our research collection. Improvisation is, simply put, being and living this very moment. No one can hide in music, and improvising in music is to be truly in this very moment and being completely yourself, with all your qualities and faults. It is probably the most honest state for a human being to be in, whether in music or life. The great thing about improvisation in general is that the listener is taken by the very spontaneity. This is our most natural state. -John McLaughlin in an interview with Daniel Fischlin (ICASP Co-Investigator). Mahavishnu John McLaughlin, is an English guitarist, bandleader and composer. His music amalgamates jazz and rock, which he couples with an interest in Indian classical music. He has become one of the pioneering figures in fusion, and his 1970s electric band, the Mahavishnu Orchestra, was known for their technically virtuosic and complex style of electric jazz and rock with Indian influences. Both Stretch Orchestra and Jane Bunnett are nominated for a Juno! Tallboys, now known as "Stretch Orchestra" (Kevin Breit, Matt Brubeck, and Jesse Stewart), is nominated for a JUNO in the “Instrumental Album of the Year” category! Another recording that Jesse Stewart plays on came out this week too. "The Dunrobin Session" features Pauline Oliveros on “V-Accordion” and Stewart on drums and percussion. This CD was just released on the NUUN record label in France. 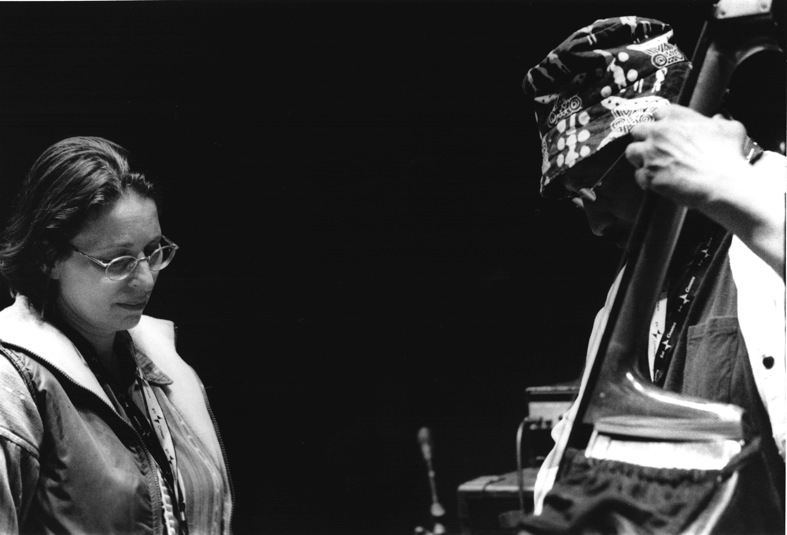 The release of this duo recording coincides with Oliveros’ 80th birthday this year and with her being awarded the prestigious John Cage award (awarded once every four years, the John Cage award is sort of like the Nobel Prize for contemporary composers). In other Juno news, "CUBAN RHAPSODY," the duet recording by Hilario Duran and Jane Bunnett (ICASP’s 2011 Improviser-in-Residence) is nominated for "Contemporary Jazz Album of the year"! 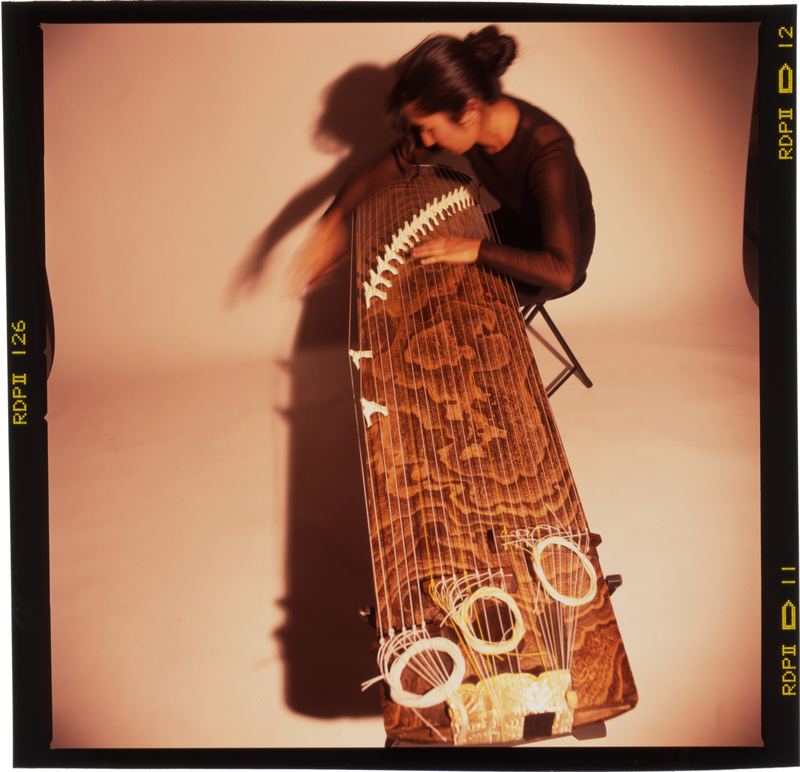 Miya Masaoka, a Japanese American musician, sound artist, and composer, is one of just a handful of musicians who have succeeded in introducing the 17-string Japanese koto zither to the world of avant-garde music. She first came to recognition collaborating with artists as diverse as Pharoah Sanders, Fred Frith and Steve Coleman, and is now regarded as a world-renowned performer. Highly esteemed for her abundantly creative and improvisational technique, and a sensibility that combines experimental Western approaches with the tradition of the koto, Masaoka’s pioneering performance work cannot be easily pigeonholed into any single genre. Her work draws from the collision of tradition with the modern, the rupture of a sonic past with the myriad possibilities of the “new.” Such merging of the past and present is displayed in her performances where electronic triggers allow for additional laser beam “strings” to hover over the koto. Her impressive catalogue of diverse compositions includes work for field recordings, laptops, and videos, and she has written scores for ensembles, chamber orchestras, and mixed choirs. With creative veracity and experimental inquiry her pieces have investigated the sound and movement of insects (she has orchestrated Madagascar hissing cockroaches and bees as they crawl across her body), as well as the physiological responses of plants, the human brain, and her own body. Within these varied contexts her performative sound work investigates (often with a high level of confluence) the interactive, collaborative aspects of sound, improvisation, nature, society and the contemporary expression of Japanese gagaku aural gesturalism: a way of presenting yourself, expressing the music through your posture. Masaoka’s work has been presented in Japan, Canada, and Europe, and she has toured to India six times. Masaoka speaking about her music and performing live on the laser koto.